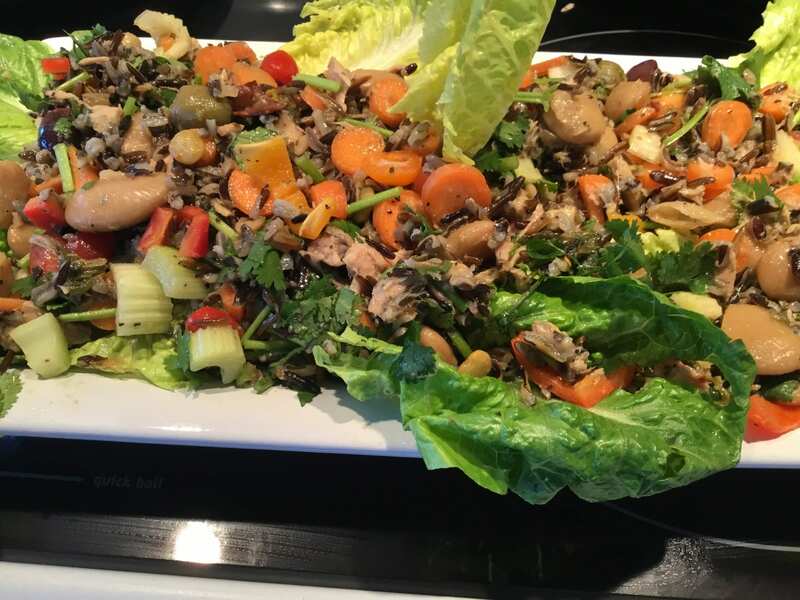 My Wild Rice and Tuna Salad is a quick and nutritious dish using leftover wild rice and leftover cooked beans combined with chopped organic celery, carrots, peppers and cilantro, tossed with chunks of olive oil packed tuna and dressed up with a splash of sherry vinegar! 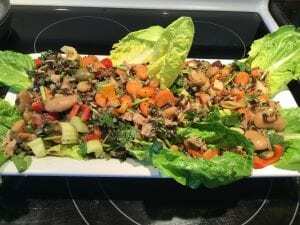 My Wild Rice and Tuna Salad is a salad made with reinvented healthy leftovers So as not to waste good healthy food and is a simply scrumptious salad for this Spring season! Enjoy my Wild Rice and Tuna Salad with a crisp white wine! Just yummy! Serve my Wild Rice and Tuna Salad in deep bowls. Enjoy with a crisp dry white wine!